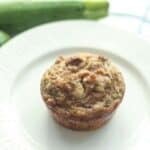 These coconut flour zucchini bread muffins are a great portable snack. 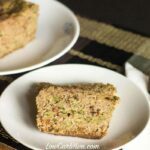 And, they are a simple gluten free treat that’s also paleo friendly. Our summer vegetable garden is giving us a bounty of summer squash. I do love squash and zucchini, but I’m not sure what to do with all of it. We have given some away and I should probably freeze some for later. But, I’ve been so busy this summer. Our family just got back from a vacation in the Smoky Mountains. Before I left, I baked some coconut flour zucchini bread muffins for the trip. I really like the texture of breads made with coconut flour so that is what I chose to use to make the muffins. 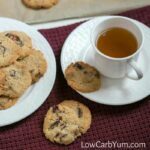 These were very tasty low carb treats. 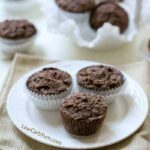 Using coconut flour in these paleo friendly muffins gives them a light and fluffy texture. And, the process to make them is super simple. To start, simply combine eggs, coconut oil, coconut flour, sweetener, baking soda, salt, and cinnamon in a large bowl (photos 1-4). 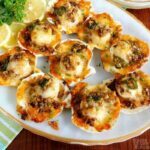 Then, you’ll want to stir in the shredded zucchini and optional walnuts (photos 5 & 6). The batter should be fairly thick. Next, the batter is spooned into greased or lined muffin cups (photo 8). Finally, the muffins are baked for 20-25 minutes at 350°F or until they test done (photo 9). 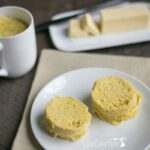 When baking with coconut flour, you’ll need extra eggs and liquid. 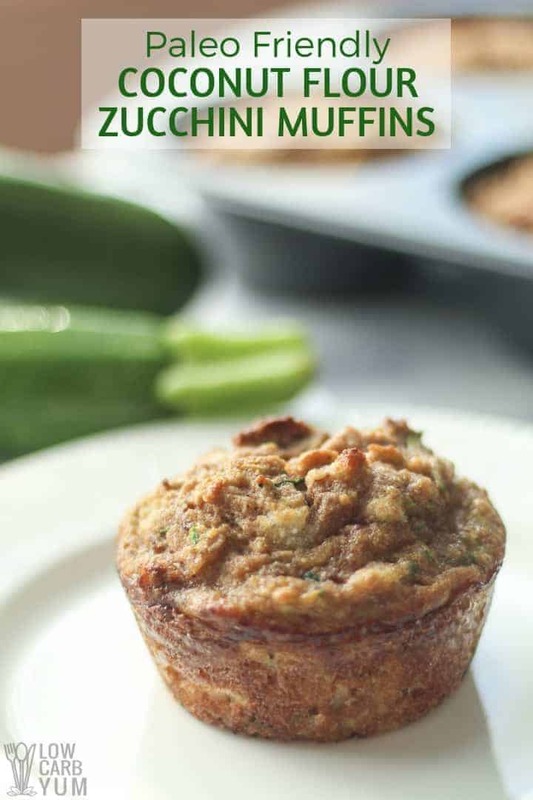 The coconut oil and zucchini provide plenty of moisture so the muffins aren’t too dry. Although the nuts are optional, they provide added structure. If you have a nut allergy, they can be replaced with a seed or bits of low carb dark chocolate. The cinnamon adds a touch of spice and enhances the flavor. 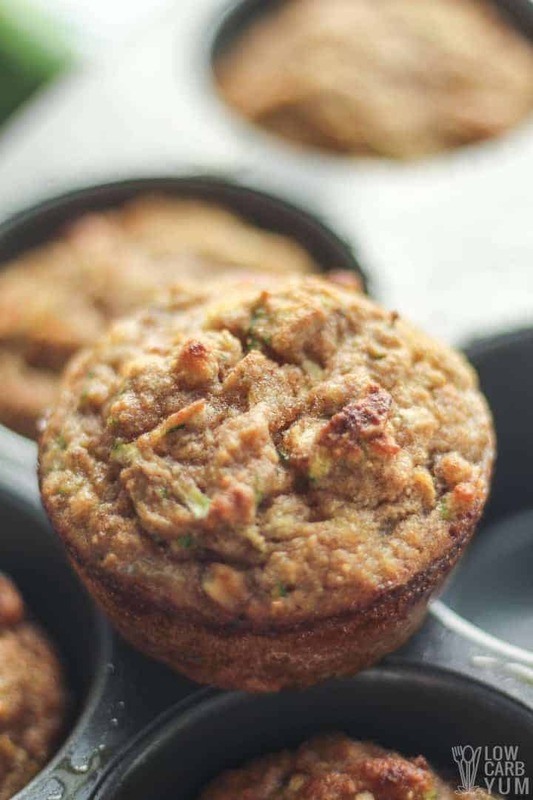 Plus, you’ll get a dozen muffins to enjoy some now and freeze some for later! Although I made muffins, the batter could be spread into a loaf pan to bake up a coconut flour zucchini bread. You’d just want to bake them a little longer until the bread is fully cooked. I will definitely make this coconut flour bread again. 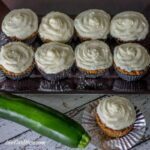 The shredded zucchini keeps it super moist. 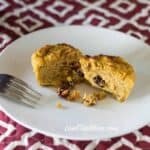 Coconut flour is certainly my low carb flour of choice when it comes to baked goods. One of my favorites is a low carb chocolate cake that I made. 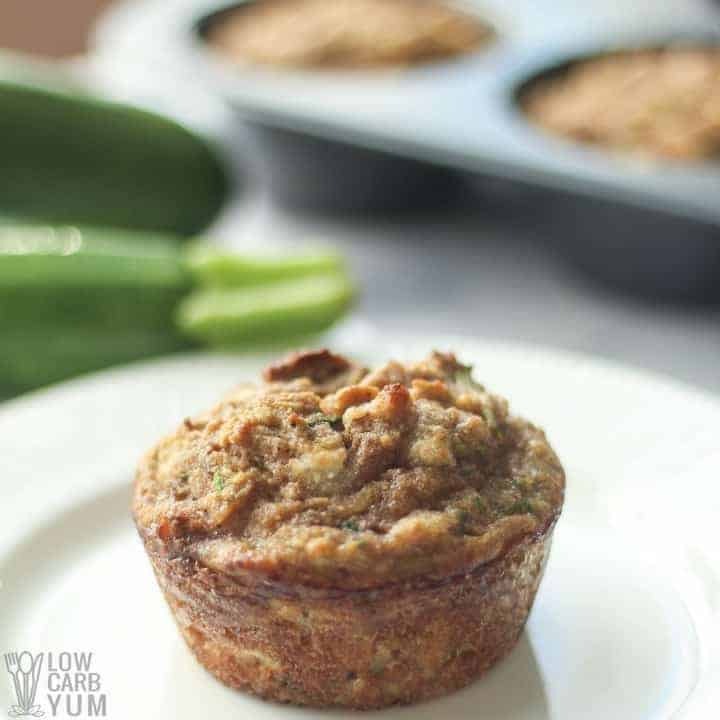 If you’ve gotten dry results using coconut flour in baking, I recommend adding in some shredded zucchini. You can peel it first if you’d rather not get the specks of green. 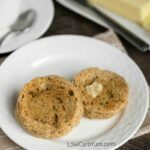 Enjoy these easy to make low carb coconut flour muffins! And be sure to let us know how they turn out in the comments below. 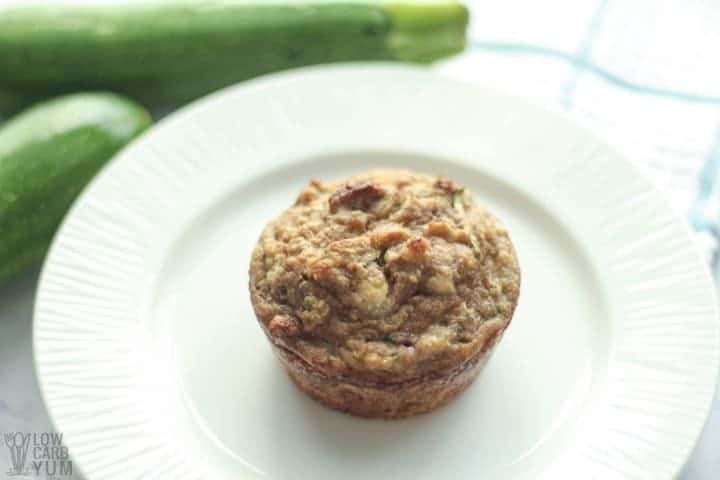 These coconut flour zucchini muffins are a great portable snack. 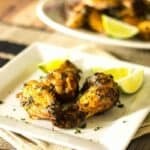 Made with coconut flour, they are not only low carb but also gluten free. 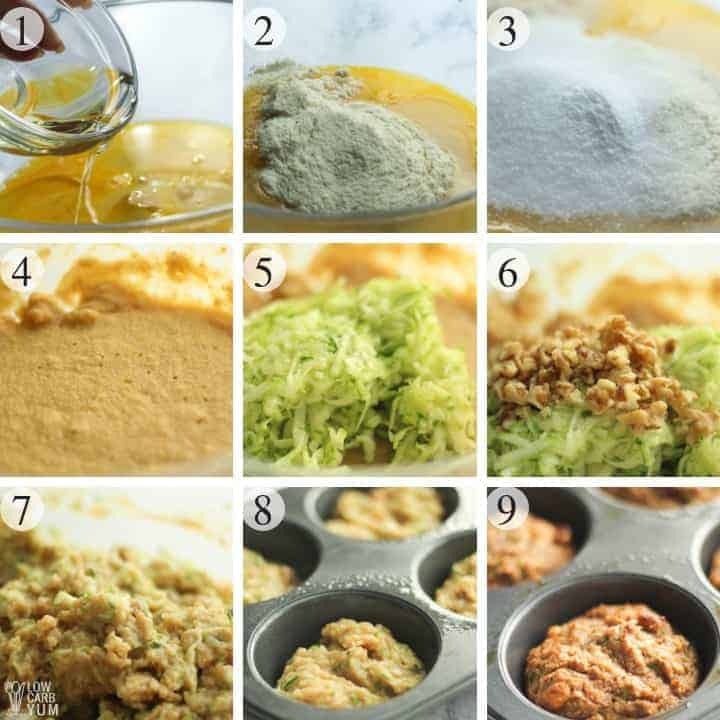 Combine the first 7 ingredients until well blended. 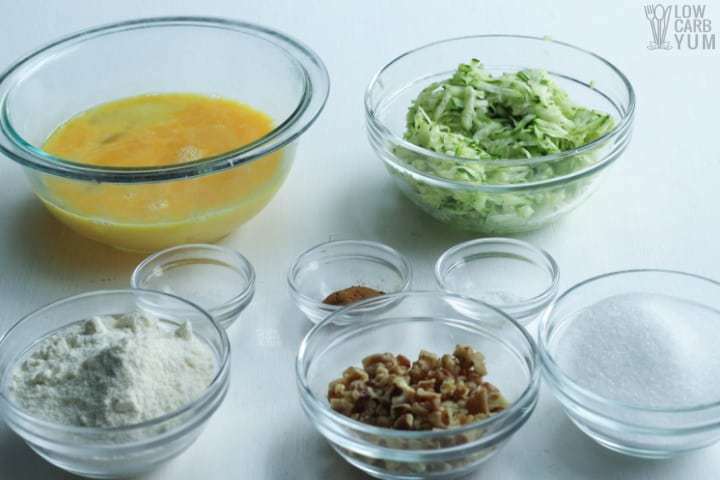 Stir in zucchini and walnuts. 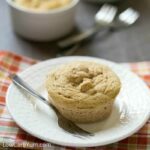 Spoon batter into greased muffin cups or paper liners. Bake at 350 F for 20-25 minutes or until toothpick inserted in middle of muffin comes out clean. Any sweetener can be used and adjusted to taste.